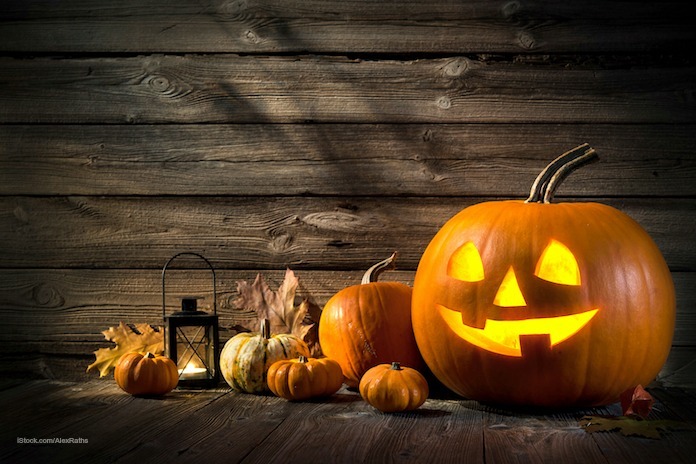 The FDA is offering tips for a safe Halloween for you and your family. They have tips for safe costumes: look for fire-retardant materials, and wear bright, reflective costumes for safety after dark. Have your kids carry glow sticks or wearing those glowing necklaces. It’s important to stay visible on your rounds, especially as it gets dark or if it’s raining. For safe treats, which after all is the main point of this holiday, always tell your kids not to eat any treats until they get home and you have inspected it. Sadly, there are true stories of people inserting sharp objects into Halloween candy, although those cases are very rare. And although most parents are concerned about candy that has been altered with dangerous substances, those stories are mostly anecdotal or urban legends. Still, it’s better to be safe than sorry. Give your kids dinner or at least a snack before they head out on their rounds, so they won’t be tempted to eat treats while they are trick-or-treating. And when you inspect the treats, look for tears in the wrappers, tiny pinholes, a strange appearance, or discoloration. Throw away anything that looks suspicious or if you aren’t sure that the candy looks safe or wholesome. Food allergies are another area of concern. If your child is allergic to some foods, check the label before they eat it. All packaged foods must indicate the presence of one of the eight major allergens (tree nuts, peanuts, eggs, milk, fish, soy, shellfish, and wheat) on the label. The Teal Pumpkin Project was set up to help with this problem. Anyone who is displaying a pumpkin painted teal at their front door will offer non-food treats, such as small toys, coupons for treats they can eat, or glow sticks in addition to candy. Choking hazards are another problem with Halloween. If you have very small children, take candies that pose a choking hazard away from them. That includes gum, peanuts, hard candies, and small toys. If you are throwing a Halloween party, keep food safety in mind. No perishable foods should be left out of refrigeration longer than 2 hours. Avoid cross-contamination when preparing raw meats, seafood, and eggs. Cook meats to a safe final internal temperature – at least 160°F for ground meats and 165°F for chicken and turkey. And always wash your hands well with soap and water before preparing food and before eating. Make sure your guests have the opportunity to wash their hands too, before eating. If you plan to serve juice at your party, make sure that it has been pasteurized. Unpasteurized juices have been linked to food poisoning outbreaks in the past few years. Juice products that are made on a farm are often unpasteurized. Ask if you aren’t sure. And bobbing for apples isn’t as innocuous as it may seem. Apples can harbor bacteria, as can all produce. Wash the apples you use for this activity under cool running water and use a clean produce brush to remove any dirt.